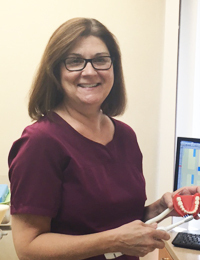 Maurine joined our team in 2016 as the Office Manager with 16 years of experience in the dental field. 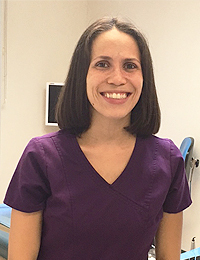 She brings with her a diverse dental background, working both with front desk and management positions. 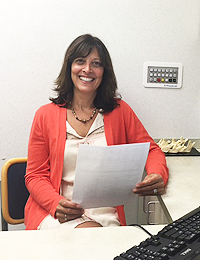 She is very knowledgeable with dental coding and the complex world of dental insurances. She is always ready to help patients resolve insurance issues and assist with treatment planning. 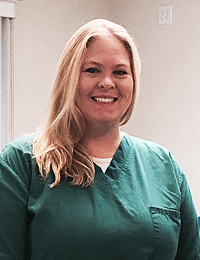 Kelly is a 2016 graduate of the Porter and Chester’s Dental Assisting program. She decided to go into the dental field because she wanted to help patients feel comfortable in what is thought to be an uncomfortable place. Raising her two children brought her to realize how important it is to teach them and allow them to recognize the benefits of dentistry and get them to overcome an unnecessary fear of dental care. Now, with her understanding for a person’s fear of dental work, it has allowed her to do exactly that. Kelly is always there for patients with a caring comforting hand to hold. Sharon has been an employee here for 18 years. She started out as a dental assistant where she grew to know the patients and build an individual relationship with each and every one. Her knowledge of treatment planning began in the operatory working chairside with the dentist. She is now happy to welcome everyone to the office at the desk and help with whatever they may need. 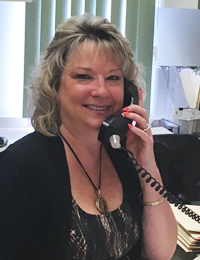 Sharon is happy to answer your questions, plan for appointments, help resolve concerns and make your visit a positive one. 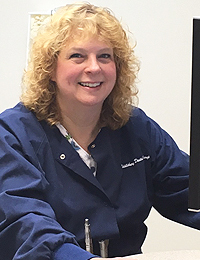 Karen is very good at putting patients at ease in her chair and hopes that each visit is a good learning experience.